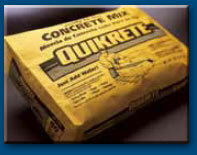 The QUIKRETE® Companies are the largest manufacturers of packaged concrete in the United States and an innovative leader in the commercial building and home improvement industries. With more than 90 manufacturing facilities in the United States, Canada, Puerto Rico and South America, The QUIKRETE® Companies have unsurpassed product distribution and depth. The QUIKRETE® Technical Center ensures that professionals and consumers alike are provided with the most innovative and highest quality products available on the market. Since 1940, The QUIKRETE® Companies have produced more than 200 professional-grade and consumer products which fall into one of four categories: core products, commercial grade products, specialty products and repair products. Through these product lines, The QUIKRETE® Companies offers concrete and mortar mixes; cements; concrete repair products; stucco, waterproofing, tile setting and blacktop products; floor underlayments; sand and aggregates; and other seasonal items. 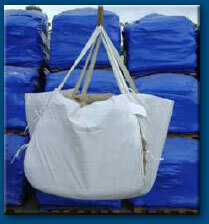 A fully accredited product testing, research and development/quality assurance center is located in Atlanta, Georgia. QUIKRETE® has more than 90 manufacturing facilities, with plants located throughout the United States, Canada, Puerto Rico and South America.